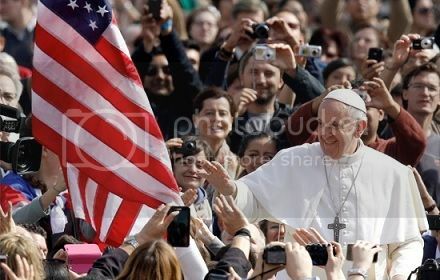 Welcomed with a fanfare of trumpets and a chorus of amens, Pope Francis introduced himself to the United States on Wednesday with a bracing message on climate change, immigration and poverty. He devoted more of his address to climate change than any other topic. “Mr. President,” Francis said, “I find it encouraging that you are proposing an initiative for reducing air pollution.” He added that there was still time to heal the planet for its children. “To use a telling phrase of the Rev. Martin Luther King, we can say that we have defaulted on a promissory note, and now is the time to honor it,” he said.